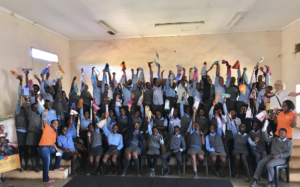 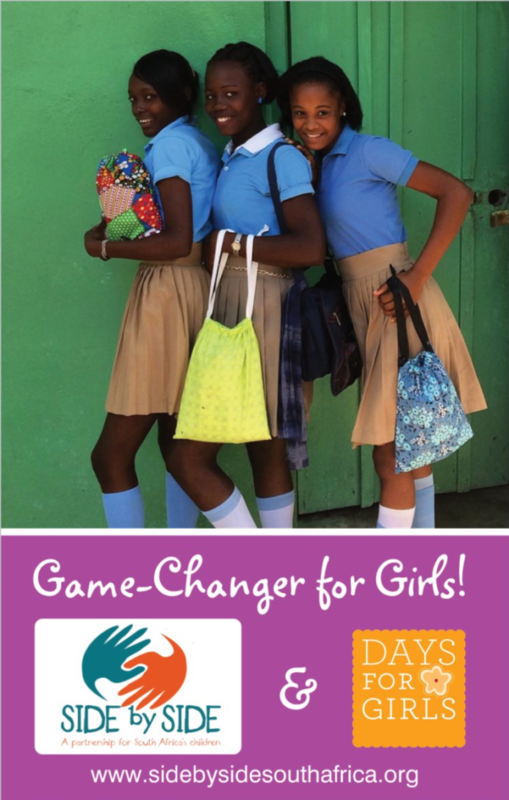 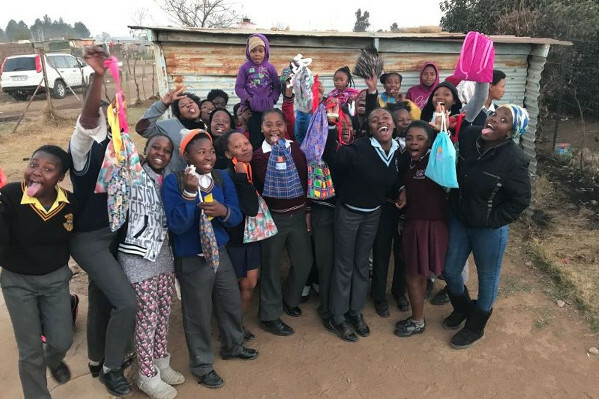 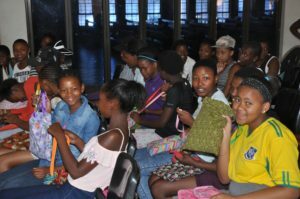 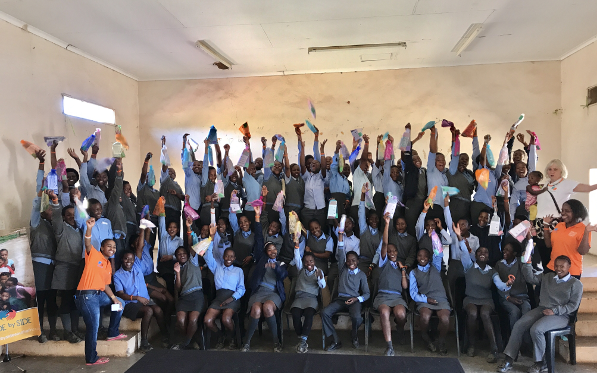 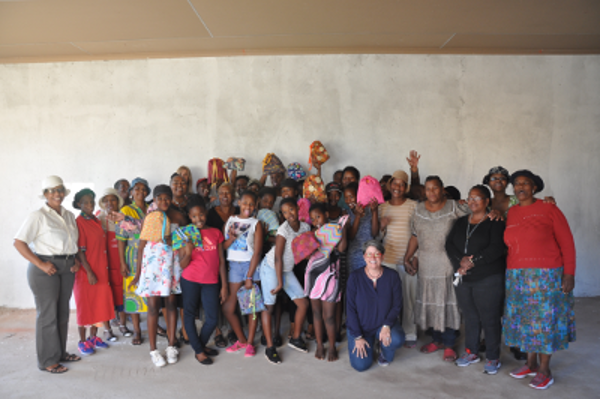 Side by Side, in partnership with Days for Girls, has a project underway called “Game-Changer for Girls” to facilitate introduction of the DfG women’s health training program and their patented, environmentally-friendly, reusable menstrual kits into the South Africa market, and to establish micro-enterprises for entrepreneurial sewing centers. 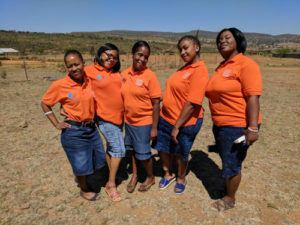 The program includes a number of collaborators including outreach workers and volunteers in Side by Side community centers, Maranatha and Munsieville URCSA churches, Rant en Dal DRC church, Etelang Pele NPO in Sebokeng, DfG International, DfG Africa, DfG chapters in Pretoria and Poulsbo, WA, Side by Side South Africa staff, and Poulsbo Rotary. 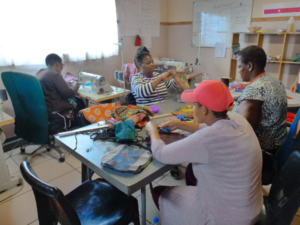 Thus far several women have been trained and certified as Ambassadors of Women’s Health to provide the critical health training component, and one micro-enterprise established. 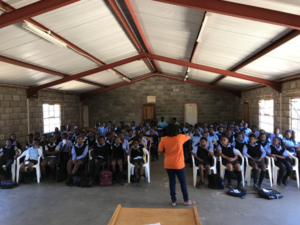 Feedback from girls, parents, and school staff continues to be enthusiastic with many requests for more of these training/distribution sessions. 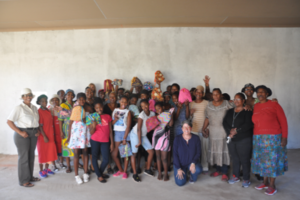 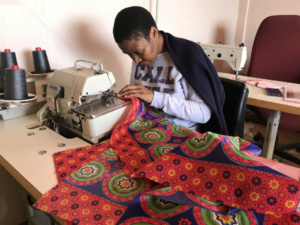 The project goal is to provide health training and kit distributions for 3,500 girls through 2018, and training for 10 sewist/entrepreneurs for the eventual production of DfG products.